Garry McGiboney, Ph.D.: The author’s experience in leadership spans 37 years. Dr. McGiboney has conducted hundreds of training sessions and is often a keynote speaker at national and state conferences. He has been quoted in the print media several times, including Time Magazine, Education Week, USA Today and many others, as well as in the international print media. He has appeared on CNN, Nickelodeon Network, A&E, Discovery Channel, and PBS. Dr. McGiboney has over 30 published articles on a variety of topics including leadership, strategic planning, research and problem solving. Also, he is the author of the books The Private Side of a Public Education and Research on Student Relations and Discipline. He has received local awards such as NAACP Educator of the Year and national awards for his work and for his advocacy for children, such as the National Association of School Psychologists’ National Friend of Children Award. He has a Doctor of Philosophy from Georgia State University in psychology and administration. Lessons for Leaders and Governing Board ($20, ISBN: 978-1-937536-61-9, LCCN: 2014932469, 6X9″, 240pp, February 2014, Purchase on Amazon, or for $2.99 on Kindle): The interaction between organizational leaders and governing boards is perhaps the most important element in organizational success or failure. This book offers lessons for anyone interested in leadership and governance, including leaders and prospective leaders, members of governing boards and those who are advising governing boards, communities impacted by local non-profit or government service agencies, business leaders who are interested in all aspects of leadership and governance, and students of leadership studies. The examples of leadership and governance in this book, including both ineffective and effective leadership, come from the non-profit sector, business and industry, as well as the private and public kindergarten-12th grade and college education worlds. Some of the stories are troubling and some are reassuring while others are puzzling and yet revealing. However, the message should become clear that governing boards and organizational leaders should be held accountable if and when they allow a poisonous atmosphere to contaminate what otherwise could or should be a healthy organization. Research shows that two-thirds of people currently in leadership positions will fail, primarily due to their inability or unwillingness to work with governing boards, build and maintain a productive team and a positive work climate or because of interference from governing boards. 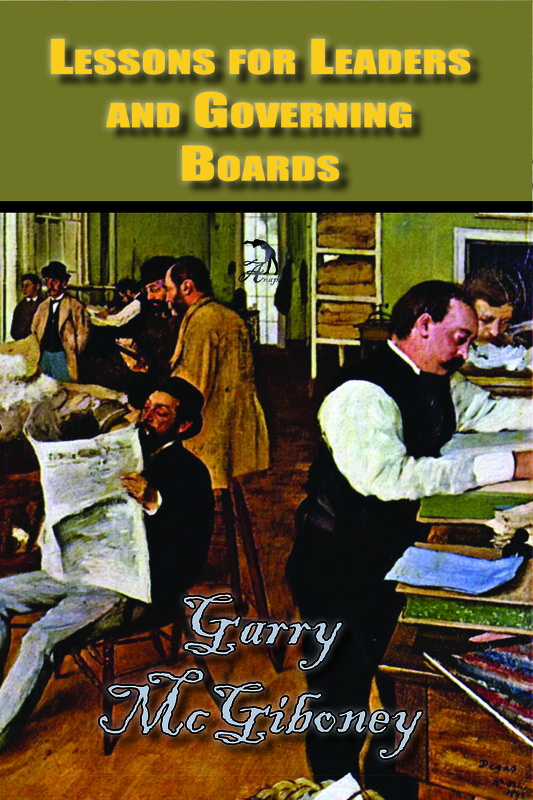 Also, too often governing boards make poor decisions and misunderstand their role in supporting organizations. But it does not have to be that way. Leaders and governing boards can learn valuable lessons by reviewing case studies and research, such as those provided in this book.